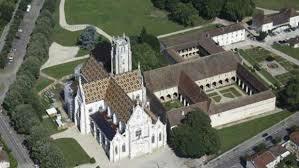 The Royal Monastery of Brou is a religious complex located in the city of Bourg en Bresse in Ain. Bourg-en-Bresse is one of the capitals of the former Duchy of Savoy, his monastic buildings House the main Museum of the city. The Royal Monastery of Brou is a masterpiece of the Gothic flamboyant Flamingo from the beginning of the 16th century. It consists of a set of monastic buildings built between 1506 and 1512, and the sumptuous Church Saint Nicolas of Brou Tolentin, built 1513 in 1532 by Louis Bodegheim. This rare architectural ensemble was built at great expense by the very powerful Marguerite of Austria, Duchess of Savoy, housekeeper of the Burgundian low countries, godmother and aunt of Charles Quint. She had built all in memory of Philippe the beautiful spouse and to respect the vow made by his mother Marguerite of Bourbon belle. 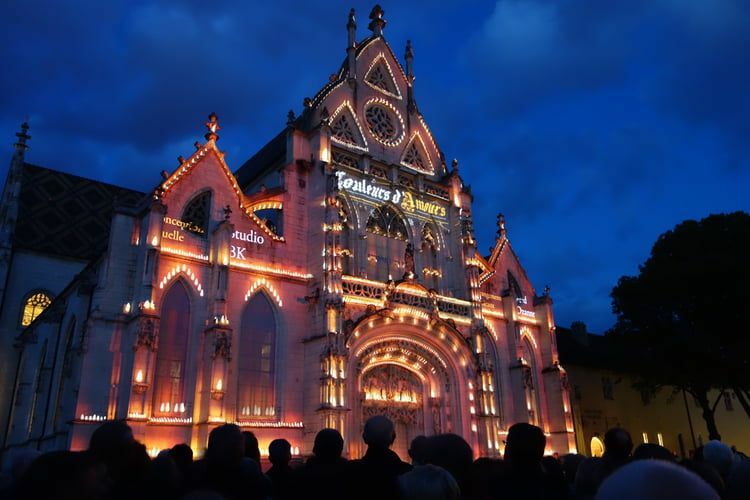 In 2014, the Royal Monastery of Brou was named "Monument preferred the French" on the occasion of the European heritage days.